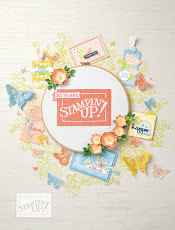 Here in the paper-crafting world, people really get into doing card swaps. 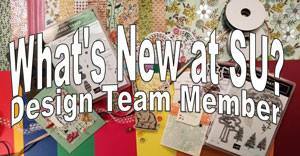 You get a group of anywhere from 4 - 40 crafters and each crafter makes enough of 1 design for everyone else. 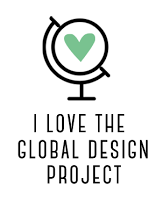 Then you share so that everyone gets 4 - 40 different cards for their sample file or to give away. Kinda like a cookie exchange, only in paper. 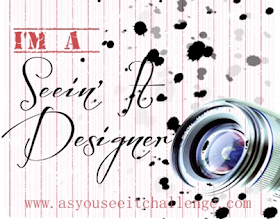 It's a great way to share creative ideas and get every one's mojo flowing. Of course, you are expected to do your best work, and therein lies the anxiety. What is good enough?? Is my work good enough? This unease is amplified if you have time and/or budget constraints. We were doing a card swap at our monthly team meeting yesterday and I wanted to create something special, but I had only one day, after other deadlines were taken care of, in which to complete 8 cards. I was also trying to do a colour challenge for The Paper Players this week. 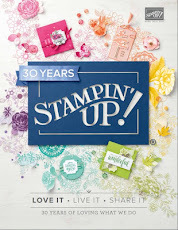 I started out with quite an involved design using Papaya Collage, a new stamp set from the 2012-13 Stampin' Up Idea Book and Catalogue. Unfortunately, it involved a BUNCH of fussy cutting. Also, the new Holiday Mini was just posted on the Demonstrator Website, (a sneak peek for demonstrators only*) and, of course, I HAD to spend some time looking at that. So by the time I really got down to work, I knew I could never finish in time for the event, and I had to do some simplifying! I'm not sure which one is better. I like the cluster of three roses, but I also like the background of ginkgo leaves. Hmmm! 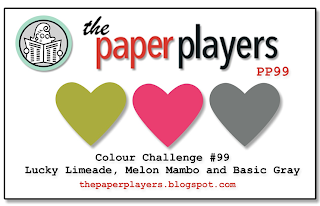 Which one do I submit for The Paper Players 99 colour challenge? Both are lovely but I actually like the simpler one more. I am also a teacher living in Western Canada and also write and direct plays! Cool! Thanks for joining us at the Paper Players and playing with my colours! I think I agree with you Lesley! That's so neat that you write and direct plays as well! Do you write for a particular theatre group? I agree! They are both beautiful but the second one is my favorite because I love the cluster of ginko leaves! Thanks for joining us at The Paper Players!